Join this unique opportunity to be among the first movers of the Desert to Power program designed to change the Sahel region into the world's largest pv powerhouse, impacting the lives of 160 million people by providing clean and affordable energy. CNBC Africa’s Bronwyn Nielsen sat down with Akinwumi Adesina, President of the African Development Bank at the on-going World Economic Forum meeting in Davos, Switzerland to make the case for investment on the continent. 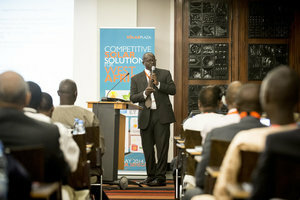 Attend sessions with government officials presenting solar-project opportunities in their country. The first kick-off of the Desert to Power programme, by visiting the Niger, Senegal and Mali for meetings with the ministers of Power, ministries of finance and the utilities. Receive the latest insight on policies, legislations, tax incentives, government support for solar, land tenure and local currency tendencies from decision makers. Private sector opportunities in both the on-grid and off-grid segment. 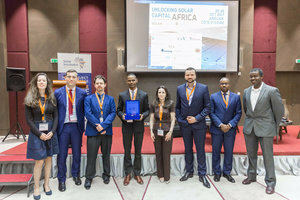 Solarplaza organizes international high-level conferences and exploratory trade missions in both established and emerging markets across the globe. With a track-record spanning 5 continents, 30+ countries, 50+ cities and a total of over 100 events, Solarplaza is a pioneering industry inspirer.